Six months after arriving in Delhi, I got a job at La Prairie selling skincare products. I was initially unable to cash my checks because I didn’t have enough money to open a bank account. At the time, many of my friends were working and sending money back home, but my parents, who lived in the village, supported my brother and me, even though we were working in the capital city of India. During my two-and-a-half years in Delhi, I worked for only six months. I had eight unsuccessful job interviews (including one that involved a three-and-a-half hour walk home), dropped out of university, often had no money, went to bed with an empty stomach a few times, felt lifeless, got drunk, got lost and felt like a complete failure, confused about the meaning of life. I remember countless nights under the mosquito net on the terrace, listening to the radio, watching the planes flying in and out of Delhi, focused on my hopeless future and questioning who God really is. If God existed, I was convinced that He was far away and not interested in me. Sometime in the early morning after a sleepless night in November 2008, “The Old Rugged Cross” and “What a Friend We Have in Jesus” came on the radio, making me more restless as I began to thirst for a savior like Jesus. Over the next two days, I spent time at an internet café Googling questions like, Who is God? Who is a Christian? What is church? What is the meaning of life? I also Googled the top 10 Christian bands, who I listened to one after another; “Identity in Christ” by Golden Resurrection and “Hero” and “Monster” by Skillet became my favorites. Skillet’s songs were about a struggling soul in need of a savior, which I could easily identify with. I was surprised by how the members of these bands looked and wondered if they could be Christians and serve God as they are, then why not me? Like me, they had piercings and tattoos, long dyed hair, and wore torn jeans but could still sing about Jesus and claim faith in Him. At a time when I felt that people like me were a burden for the church because I thought church was for only holy people and not for sinners like me, this realization was a relief. Listening to these songs and reading about Jesus led me to accept Christ with a short prayer in November 2009. I was a secret believer for about two months because I didn’t want to be made fun of the way I had previously made fun of Christians, but gradually my choices and behavior changed. It was a difficult time though as I didn’t have someone to teach, guide and encourage me. When I told my older brother that I had become a Christian and that I had a desire to know more about God and His word, he was shocked but very happy, and during a conversation about me going to seminary to study God’s word, he said he would look for a better job so he could support me during my studies. I started looking for seminaries but really had no idea where to start and didn’t have the courage to ask anyone who could help. Three weeks later, after emailing and sending applications to different seminaries across India, Doon Bible College (DBC) in Dehradun was the first one to accept my application so I enrolled. I did my Bachelors in Theology there from 2009-2012, during which time God was gracious to me. He was there with me and gave me many opportunities to learn and participate in church ministries, as well as ministries working with those in drug rehab, prison and in the slums. After graduating from Doon, God opened the door for me to do a Masters in Divinity at South Asia Institute of Advanced Christian Studies (SAIACS) in Bangalore. It was an answer to my prayer of two years, as getting into SAIACS was difficult and I didn’t know how I would be able to pay the tuition. God provided through friends and through my parents selling their buffalo and a necklace. I enjoyed my time at SAIACS also in part because I was able to serve as the leader of the campus children’s ministry, the children’s pastor at Crossroad Church and the coordinator and youth leader for a house church. I completed my Masters of Divinity in Theology in April 2014 and then came to Bangkok to serve with Youth for Christ (YFC) Thailand at their invitation. 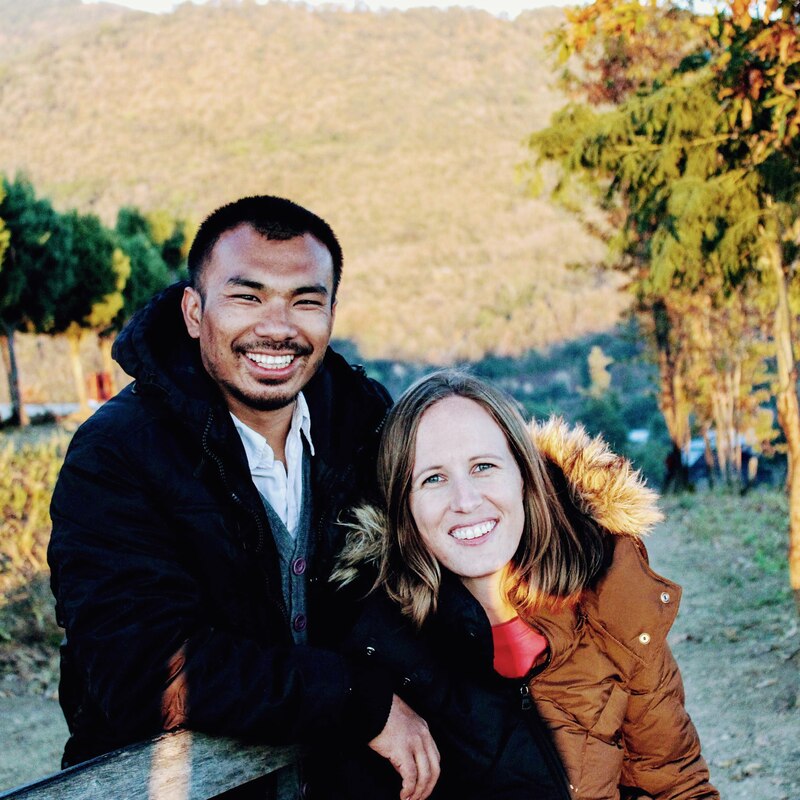 I am engaged in evangelism and discipleship through teaching English, leading a football ministry, and participating in a Muay Thai class, as well as teaching Bible at church and office and preaching at our church. I cannot ask for more. The Lord has put me in the right place to serve Him with all that I am. I met my wife shortly after I came to Bangkok when I was discipling students at an international school where she was teaching. Our marriage is a cross cultural marriage so there are challenges, but there’s also a lot we have learned. It’s a beautiful thing to love and experience someone from a different culture. We don’t know how much longer we will be here in Thailand but we will remain faithful to God’s voice and His calling. I would encourage each one of you not to take life for granted and to never stop learning, as well as to “find out what pleases the Lord” (Ephesians 5:10). If you have found Jesus, hold on tight to Him because He is precious; you will never regret this. If you are not sure or do not yet believe, I pray that you will soon find your life in Him.